The advocate-turned-politician from the powerful Nayaka community, the party hopes, will make a perfect candidate to take on Sriramulu’s sister J Shanta who will contest from BJP. BENGALURU: With factions of local Congress legislators divided over the probable candidate for the upcoming bypoll in Ballari parliamentary constituency, the party is turning to senior leader and MLC V S Ugrappa as a safe bet for the seat. While the six legislators of Ballari are divided over the choice of candidates, Congress believes that the ST leader from Pavagada will emerge a dark horse in the race. 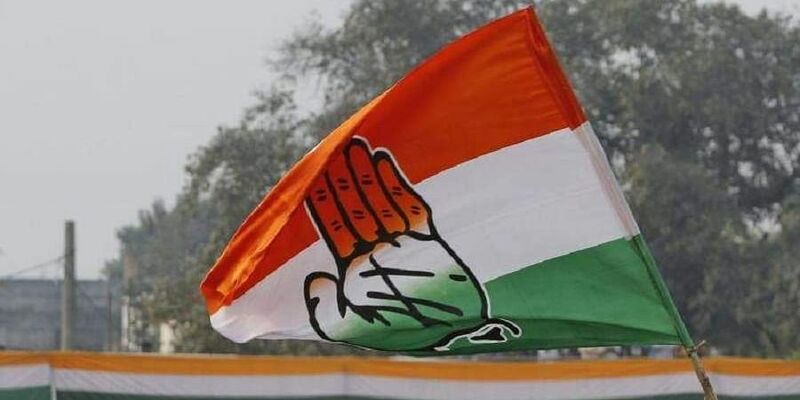 Congress has been unable to name its candidates for the two parliamentary and two assembly seats which it has announced that it will contest. On Friday, all six MLAs from Ballari took part in a meeting called by Karnataka Pradesh Congress Committee chief Dinesh Gundu Rao. Working president Eshwar Khandre, legislative party leader Siddaramaiah and Ballari district in-charge minister D K Shivakumar held talks with the MLAs to arrive at a consensus, but to no avail. The Lad brothers, who are also prominent leaders from the region, chose to give Friday’s meeting a miss. 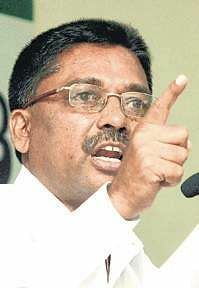 With P T Parameshwar Naik, E Tukaram, B Nagendra on one side and Bheema Naik, J N Ganesh and Anand Singh on another lobbying for different candidates, sources in the party suggest that Siddaramaiah is in favour of the latter faction’s choice but others including Shivakumar want to go with the former faction’s pick. One compromise candidate that the leadership is open to, despite the outsider tag, is Ugrappa. “He has been a party loyalist and will take the plunge if asked to, even if it means it is just for a few months. Bringing him into the foray will end all infighting and the MLAs will be compelled to pool their resources together,” said a Congress leader who did not want to be named. The Congress hopes that Ugrappa’s efforts in exposing the illegal mining scam, which ultimately landed Gali Janardhana Reddy in jail, will send across a message to rival BJP. “A popular ST face, a clean image, party loyalist who is close to Siddaramaiah and acceptable to all state leadership makes Ugrappa the perfect choice,” said another KPCC office bearer.